Even zombies need a day at the beach. In the fun new arcade game Zombie Beach Party, you’ll be leading a party for the undead. Most importantly in the game, you’ll need to “recruit” other beachgoers into the conga line that keeps getting bigger. The partying combines will need to avoid obstacles, collect treasure, and even do the limbo to avoid danger. And the police and army will be coming after your party with bullets, airstrikes, and more. While playing, you can collect more than 30 different types of zombies and harness their special abilities for the party. There are also more than 200 different challenges in the game to help that can earn awards. 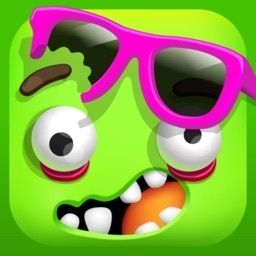 Zombie Beach Party is designed for the iPhone and all iPad models. It can be downloaded now on the App Store for free. There are a number of in-app purchases available. Keep the party going in this frantic arcade games as you’ll need to gobble up beachgoers to help grow your conga line of zombies.